KUALA LUMPUR, Dec 31 (Bernama) — The Malayan Banking Berhad (Maybank) on Wednesday lost in its suit against the National Union of Bank Employees (NUBE) and its general secretary J. Sandagran Solomon over defamatory statements on the company which were published on the NUBE website. High Court Judge Datuk Hue Siew Kheng, when dismissing the suit, said, the trade union and its officers were immune from lawsuits as provided under Section 22 of the Trade Unions Act 1959. “The defendants are immune from being sued under Section 22 of the act,” she said in her brief judgment and ordered Maybank to pay RM30,000 in costs to the two defendants. She made the ruling after hearing evidence from two witnesses from the bank and a testimonial from Solomon. On Nov 24, 2011 the High Court had allowed NUBE’s application to strike out the suit. However, upon an appeal at the Court of Appeal in 2012, the bank succeeded in setting aside the High Court’s ruling and the suit went for a full trial. Maybank filed the suit on April 22, 2011, claiming that Solomon, acting on his own behalf and NUBE, had in February or March, 2011 published articles containing defamatory statements of the company on the NUBE website. 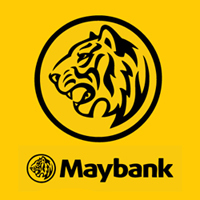 It claimed that the statements meant that the plaintiff (Maybank) had conducted its affairs in a dishonest manner by seeking to use funds for the sole benefit of its senior management at the expense of and in total disregard of its employees. Among others, the plaintiff claimed that the statements had implied that the plaintiff (bank) had conducted its affairs in a grossly oppressive and exploitative manner. The bank contended that it had being seriously injured in its business trading, reputation and goodwill due to the publication of the statements. It sought damages for libel, aggravated damages and injunction to restrain the defendants from publishing similar defamatory statements against the bank. Counsel B. Gajendran represented the bank while counsel M. Pathmanathan acted for the defendants.